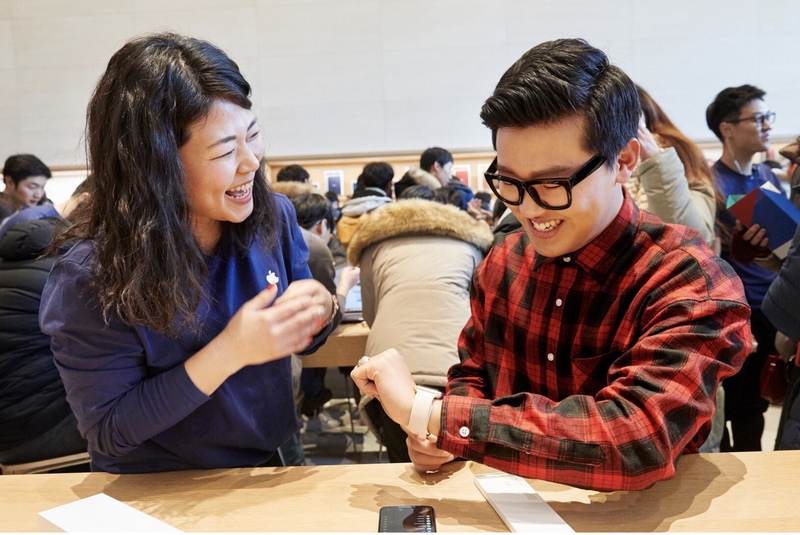 On Saturday, Apple opened the doors to its first retail store in South Korea. Opened in the posh Gangnam area of Seoul, Apple’s Garosugil store is the first to open this year. The outlet features a next-generation design with 25-foot glass facade, large sales floor, and a huge 6K TV display overlooking Forum space for Today at Apple sessions. Apple shared pictures of the store earlier this week, showing off the wide open space built from concrete, wood, and glass. Rumours that the company would open a retail outlet in South Korea have been circulating for years as they compete with Samsung. Plans for the Seoul location surfaced about a year ago when the company posted hiring notices for various staff positions. 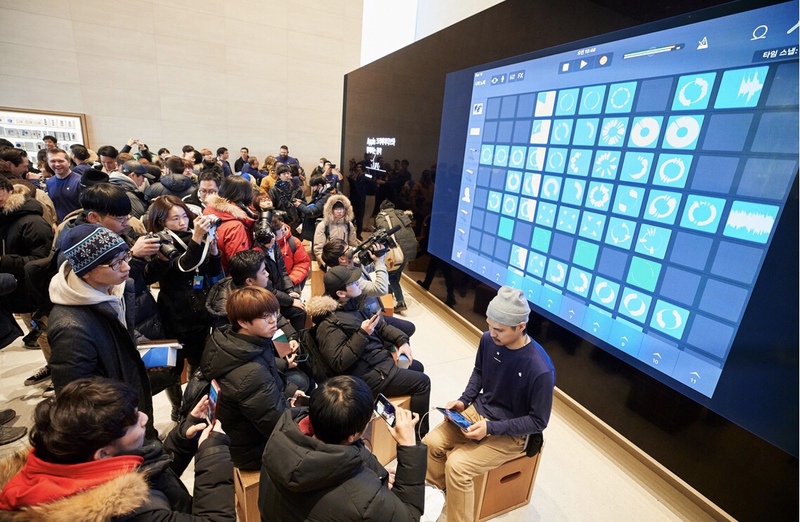 Like other recent Apple retail opening, customers at the new store in Seoul store were greeted with a commemorative gift and a piece of Apple memorabilia.